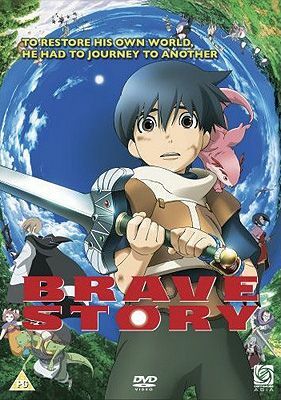 Based on a novel by prolific Japanese authoress Miyuki Miyabe, Brave Story is a tale of love, friendship, and the sacrifices people must make in order to do what is right. Eleven-year-old protagonist Wataru meets Mitsuru, a lone figure who tells our young hero about the World of Vision, a place where destiny can be changed. Wataru chooses to enter and follows a chain of events involving his family. He also forms friendships and discovers much about life. Directed by super talented animator Kôichi Chigira (Tokyo Babylon, Full Metal Panic) Brave Story is an exquisite yet simple piece of magic realist anime. Extras include The Five Jewels of Brave Story a ‘making of’ featurette documentary and We Are Not a Couple, a short film which attempts to explain some of the more mystical aspects of the film.